Funny you mention because us 2-door guys have literal airplane wings for doors. They're enormous and they don't have the built-in stopping points most cars have, or at least they're not nearly as stiff, because a light breeze will quickly send these massive doors into the car next to you. The doors working and them being huge with not as stiff holding points are two completely different things, right? I never said they don't work. They obviously work. What I said was that they are bigger than the average and don't have the multiple, stiff stopping points when opening that you'll get with a lot of other cars. For that reason, I'm always careful when opening them, especially when it's windy. its called economy. Im used to opening them. Again, whatever the reason and regardless of how used to it we are, they are bigger. It is what it is. ^^^ Yes. I didn't realize how big the doors were on my 2007 2-door until I got my 2014 4-door. I just realized Dark has a 3rd gen 3-door. Do you know if the doors on the 3rd gen 2-door models are as big as they are on the 2nd gen's? Well, I test drove the new Corolla hatchback. I loved it. So much so that I'm trading in my iQ, Matrix, and silver Yaris (my first one... *sniff*) for it. My back is getting ridiculously bad and maintaining a fleet of cars is getting harder for me so I'm downsizing my collection of cars quite a bit. Very cool! Curious what were the features you liked the most? Seconded looking forward to pics. I already off'd my yaris but the corolla is just so good. if i had to go down to one car and dual purpose it. i think it would be near the top of the list. I liked the US-spec 2019 Corolla hatch even less in-person when I checked it out. Nice car (mechanically) trapped in some ugly/tacky styling decisions. Shame that Toyota releases their nicer & more elegant styling in other markets & the US market gets the garbage. Eye of the beholder I guess. I actually got the poster car, the gaudy bright blue xse haha. I'm a sucker for odd bright colors so it was the least "normal" out of the selections. If they had that bright green they had for the Prius C a while back I totally would have gotten that. 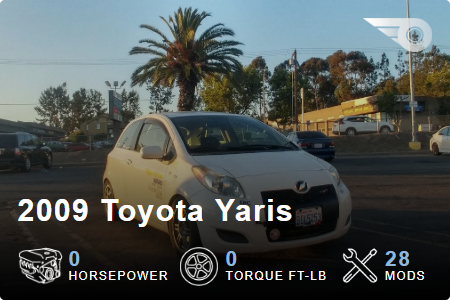 I have to say though that 2014 Yaris was a beast and owes me nothing. I put 50,000 plus miles on that car in the two years I've owned it and it's been fantastic. Really the only reason I'm doing all this besides the back issues mentioned before is I want something larger when the three of us and our two dogs go places. Plus with changes in my life I don't do as much taxi slave labor so having a dedicated vehicle for that just isn't necessary anymore. 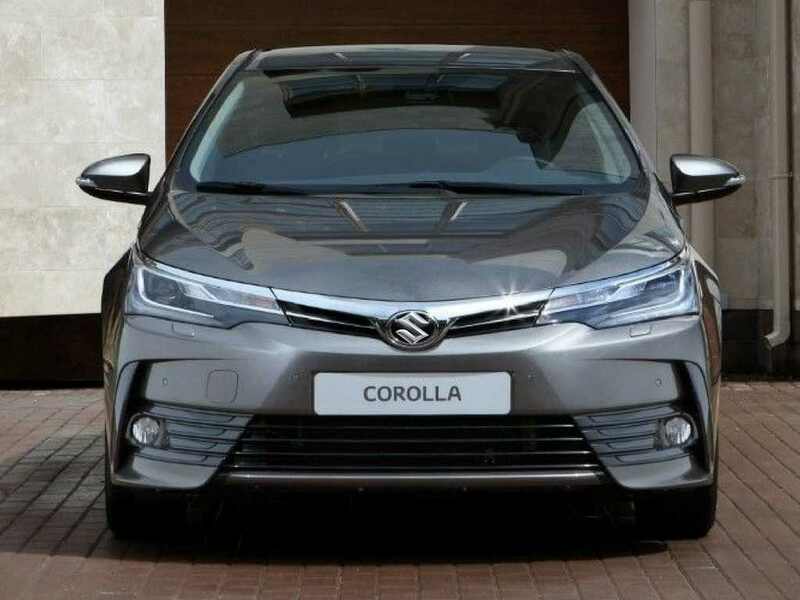 Corolla, Hyundai I30 and Mazda 3 is on my list. I am willing to try all the flavors. Call me not loyal to Toyota but Oh well. ^^^ Loyalty is often blind and just a step away from insanity. Don’t worry, they’re not loyal to you. They haven’t exactly been supporting the “drivers” in the auto industry. Crappy designs, underwhealming power, very little aftermarket support, a nightmare to tune an ecu, ugly designs (did I already mention that?). I’m just about scared off. I think my ultimate plan at this point is to make my old Sienna my daily and restore my old Mustang for my jollies. The whole industry has gone into the sh***er and I’m about giving up hope. For quite a few years, I fully believed Toyota was the only car to consider... and that if it wasn't a Toyota, it wasn't worth owning. I finally broke my relationship with Toyota and couldn't be happier. It took some time to get used to not owning a Toyota; I actually experienced emotions that accompany an act of disloyalty. But, I am thoroughly enjoying my 2 new non-Toyotas, and have no regrets and no interest whatsoever in any current Toyota models. While I still believe Toyota offers the best long-term reliability, there are indeed other good reliable cars. Certainly, there are much better looking cars, far more comfortable cars, and other cars that offer great drivability... and "pride of ownership" as well. Imagine going through life just driving Toyota? I mean dang! You might be missing out on other rides LOL.